There is nothing stopping you. It may be effortless for some. It’s pain-staking however for me. I have to be patient whilst I muster up the inspiration for my work to be meaningful. The satisfaction it brings me though – Oh yes the SATISFACTION is worth every painful write, re-write, edit and even rejection from publishing houses. Rejection is sometimes encouragement enough to keep improving. The gratitude I get from even one person makes it indescribably worthwhile. My type of writing is motivational, thought-provoking and spiritual. It stems from my life experiences and cannot be rushed. We’re unique and it usually is evident in the way we write. We differ in culture, language, experiences, passions, motivation and purpose. There are many paths to a single destination just as there are different ways to write a book. Finding the best way to express yourself or share knowledge in words is what makes the difference. Writing topics are just as varied as your style of writing. It could be for professional, business, creative non-fiction, creative fiction, poems, articles or blogs that you write, the choice is yours. I recommend finding what you do best. There is no use in my forcing to write something like poetry or business that I don’t have the flair for. I do however appreciate the passion and zest with which the seasoned poet delivers their writing. Here are a few steps we can use as a guide-line to help us organize the thoughts and make it easier to publish and sell our writing. 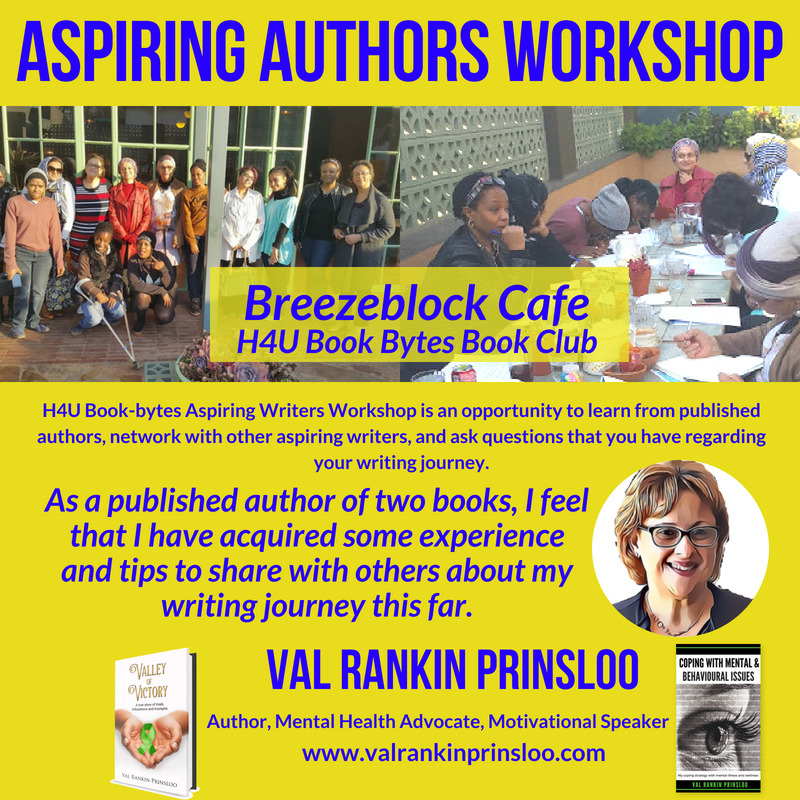 For the purposes of this ASPIRING AUTHORS WORKSHOP we are going to use my type of writing as an example of the process. The writing process can be a mystery. Some successful writers cannot even communicate how they do what they do! They may tell you to “write more” or “find inspiration somewhere to write” Even though inspiration is important we need knowledge of the process otherwise we can become stuck and frustrated. A defined writing process will help.